UsedBooths.com is the premiere online marketplace for used and pre-owned trade show booths, exhibits and displays. Why do so many used booths buyers and sellers choose UsedBooths.com? Here are the Top 10 Reasons why UsedBooths.com is the preferred source for used booths, counters and kiosks. Buyers save thousands of dollars when they purchase and rebrand pre-owned exhibits rather than break their trade show budgets on new equipment. The savings are significant, and allow exhibitors to use their marketing resources more effectively. Sellers free up warehouse space and recover thousands of dollars on used booths that no longer meet their needs. And sellers pay nothing to list their used exhibits at UsedBooths.com. Because there are so many hundreds of listings freely available to trade show exhibitors, UsedBooths.com makes it easy to find just the right used booth. We list used and pre-owned linear booths, island booths, double deck booths, counters, kiosks, displays and accessories. And we have used booths in every size from 10x10, 10x20, 20x20 all the way up to 50x50 and larger. We work with sellers when they post free ads for their used booths to ensure that the descriptions, images and specifications are accurate and complete. We provide all the information that buyers need when considering a used booth purchase, all in one place. We offer all of the critical support services necessary to having a successful trade show with your used booth. Whatever your needs, we can help you with everything from rebranding to transportation. We have the know-how to assist you with graphics, freight, flooring, lighting, and installation and dismantling services. Just tell us what you need. Buyers and sellers never need to make commitments or sign contracts to sell on UsedBooths.com or make any kind of up-front payments. Buyers pay nothing until they are ready to make a purchase. And sellers post for free. We provide one stop shopping for exhibitors. UsedBooths.com provides everything from used trade show booths to transportation to rebranding, all in one place. Shop for your pre-owned exhibit at UsedBooths.com and you won’t need to look anywhere else. We understand that time is of the essence for exhibitors. That’s why we facilitate the transaction between the buyer and seller so there are no costly delays for the seller getting paid and the buyer taking possession of their used exhibit. UsedBooths.com makes it fast and easy to find a great used booth, rebrand it and ship it to your next trade show – fast! 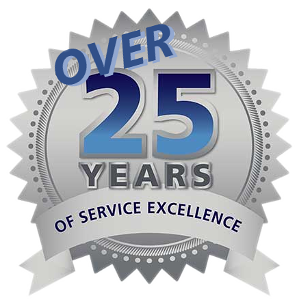 We have over 25 years of trade show experience at UsedBooths.com. We are trade show specials. This is what we do. And with our understanding of the industry, we can help you avoid costly makes that can waste your time and money. Over the years, UsedBooths.com has developed working relationships with vendors across the country who have proven themselves to be reliable, dependable and affordable. If you need transportation, rebranding or I & D, we don’t just show you a random list of companies. We recommend specific vendors with the skills that match your needs and your budget wherever your trade show is located. We’re always here to answer questions and provide assistance, not just in buying a used trade show booth, but in everything you may need to make your next trade show a big success. We won’t let you down at crunch time when you have deadlines to meet. We are here for you. UsedBooths.com is the trusted place to buy and sell pre-owned booths, counters and kiosks. We understand the unique problems that exhibitors face. At UsedBooths.com, we work hard to assist buyers and sellers in every way we can, because we know you will come back to UsedBooths.com to save money on your next trade show booth.